Everyone knows it’s important to get some downtime. But if your primary relaxation strategy is Netflix and/or alcohol, you may need an upgrade. Here are four reasons why kicking back with a bottle to binge watch “Parks and Recreation” is not cutting it. Inflammation is the new smoking. Scientists used to warn about the harmful effects of smoking and trans-fats on your heart, but now they fret over inflammation too. Inflammation acts like a magnet in your blood vessels, gluing cholesterol to the walls. It may not be the pulled pork that’s killing you, but rather your body’s inflammatory response to the stresses in your life. And here’s the thing: While golden milk may help you reduce inflammation, connecting with your body in a relaxed, focused way is emerging as even more essential. Embodiment is the new Xanax, without the side effects. If you want to feel happier, healthier, less inflamed, and more relaxed, you need to do regular embodiment training. And the side effects of this training may very well include sleeping better, wanting to eat healthier, setting better boundaries, and eliminating toxic relationships. You may be thinking, “embodiment” is fluffy, woo-woo yogi-speak for something ephemeral. Au contraire mon frere. Embodiment is the practice of visceral resilience or interoception, and there’s a whole body of emerging research revealing that practicing embodiment benefits everything from addiction to autoimmune conditions, depression, anxiety, insomnia, IBS, and even neurodegeneration and aging. Yes, embodiment is not only the new Xanx, but it can also be a powerful remedy for chronic conditions perpetuated by a world careening through the universe in hyperdrive. You are going to see so much about embodiment, (aka interoception or visceral resilience) coming out in the literature and media because it is the key to addressing what ails us—individually and culturally. Exercise is great and there’s tons of evidence it’s good for you, but you still may feel only collapsing with your cat to witness Don and Betty Draper’s appalling communication fiascos takes the edge off. While cardiovascular exercise confers some serious health benefits, it doesn’t necessarily put you in touch with your body and a deeper sense of yourself. Mindful somatic practices do. The yogis knew long ago what scientists are beginning to discover: the key to nervous system resilience is regular training in internally focused practices that help you connect with your body and strengthen your sense of self. But being embodied can be scary when you have spent your life out of it (I mean, we are encouraged by just about everything in our culture to press the eject button regularly). A lot of times we resist being embodied. When your body feels unsafe or has been through a lot of trauma, disembodiment is a natural survival response. It’s good in the short term, but you pay for it in the long term with inflammation and chronic illness. So, some kind of embodiment training is increasingly being recognized as essential to reclaiming and maintaining good health. Being disembodied is great for a consumer culture because disembodiment makes us do all sorts of consumer-ish things, like overeating, consuming too much internet content, overshopping, abusing alcohol and drugs, etc. When you’re not connected to your body, you tend to think and act in ways that ignore your core values. When you learn to listen deeply to yourself, you start to connect with yourself in a more authentic way. You start to get clearer about how you feel. You’re able to adjust your body or when the feelings aren’t great, rather than numbing yourself out with external, fleeting distractions. You also begin to value your body as an ally to consult rather than a slave that needs to be subdued and dominated. The best embodiment practices are ones that you can do easily and regularly, that keep you in the present moment and allow you to experience some new insight. The best practices are those you feel passionate about and that tap you into rhythmic body processes like repeated movement, your breathing pattern, or your heartbeat. By the way, these are the four key steps (repetition, awareness, novelty, and rhythm) to making neuroplastic changes in your nervous system according to neuroscientist Dan Siegel. 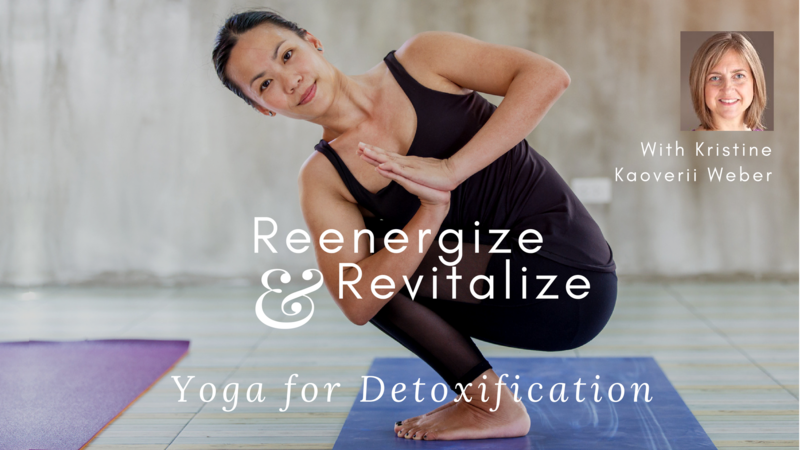 Study with Kristine Kaoverii Weber and YogaUOnline - Re-energize and Revitalize: Yoga for Detoxification. Reprinted with permission from Subtle Yoga. Committed to the widespread adoption of yoga as a population health strategy, Kristine Kaoverii Weber, MA, C-IAYT, eRYT500, YACEP has been studying yoga and holistic healing for nearly 30 years, advocating, speaking and teaching about yoga since 1995, and training educators since 2003. Her organization, Subtle®Health, LLC, provides holistic, mind-body trainings, education, and clinical services with the mission of enhancing community health infrastructure. 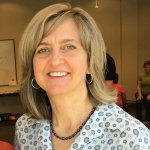 She is the director of the Subtle® Yoga Teacher Training for Behavioral Health Professionals program at MAHEC in Asheville, NC; presents workshops and trainings internationally, and is frequently invited to speak about yoga at health care conferences. After completing her BA and MA at Georgetown University, Kristine trained extensively in many styles of yoga including Viniyoga, as well as in Asian bodywork therapy, and homeopathy. She is the author of The Complete Self Massage Workbook, and has published articles in the International Association of Yoga Therapist's journal, Yoga Therapy in Practice and other wellness publications. Her work has been featured in Redbook, BodySense, Women's World, Natural Health, and Lifetime TV. She is a regular presenter for www.yogauonline.com and www.yogamate.com. She has provided yoga therapy to various populations in institutions and privately since 1996. Find out more at www.subtleyoga.com.